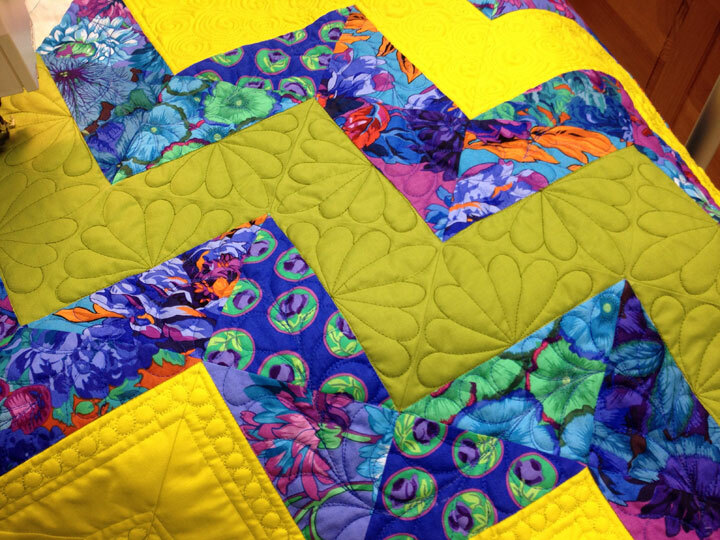 If you’re looking for some free quilting advice about quicker, more efficient ways of doing quilt-related tasks, organizing your studio, etc, check out this free downloadable pdf of quilting “know how” produced by the folks at Craftsy. You can find it by clicking here! 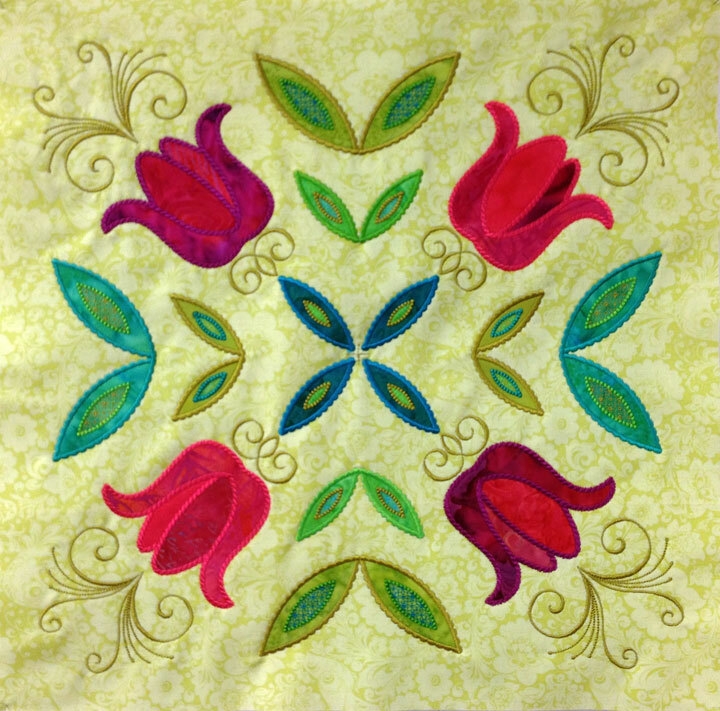 Do you remember this applique block from a couple months ago? 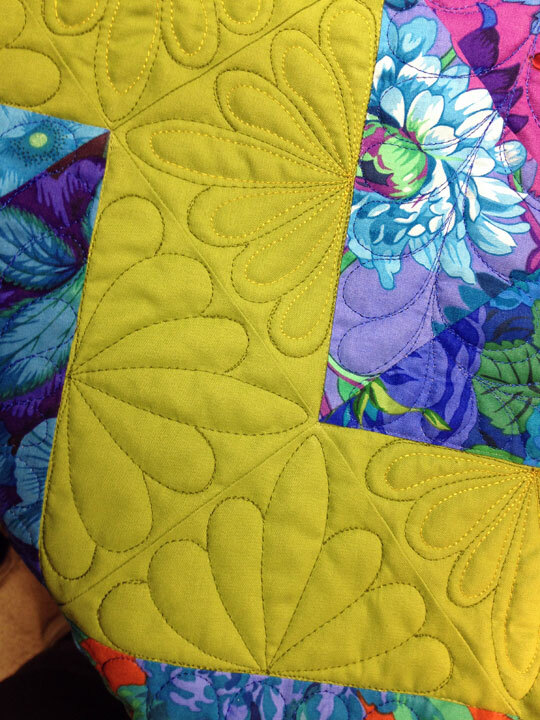 This was actually my first test stitch-out of the files to create this block. It’s had some minor tweaking done but I really liked how this preliminary stitch-out looked and didn’t want to waste it. 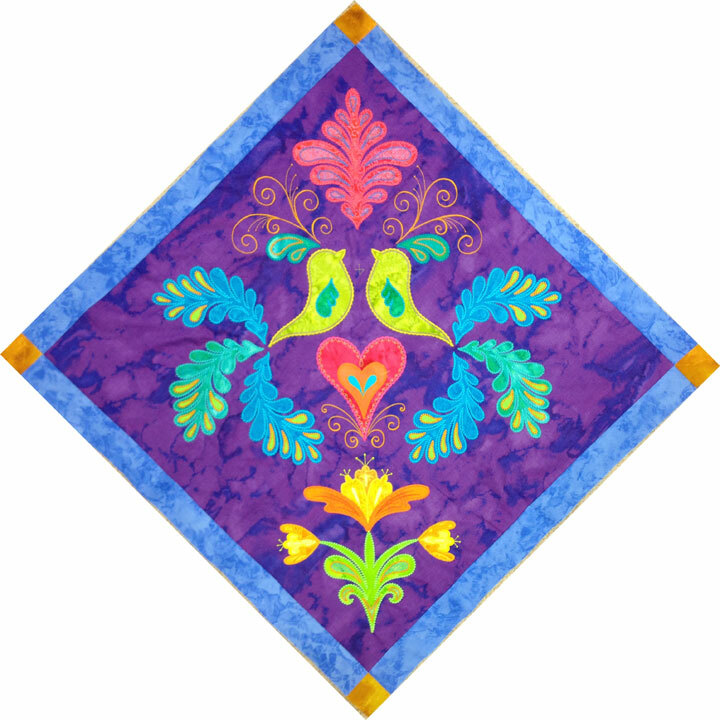 So, I’m using this 22-inch block as the center of a new applique quilt. 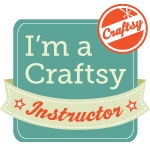 The shapes are all die-cut applique shapes that were cut out using my Sizzix Big Shot cutter. 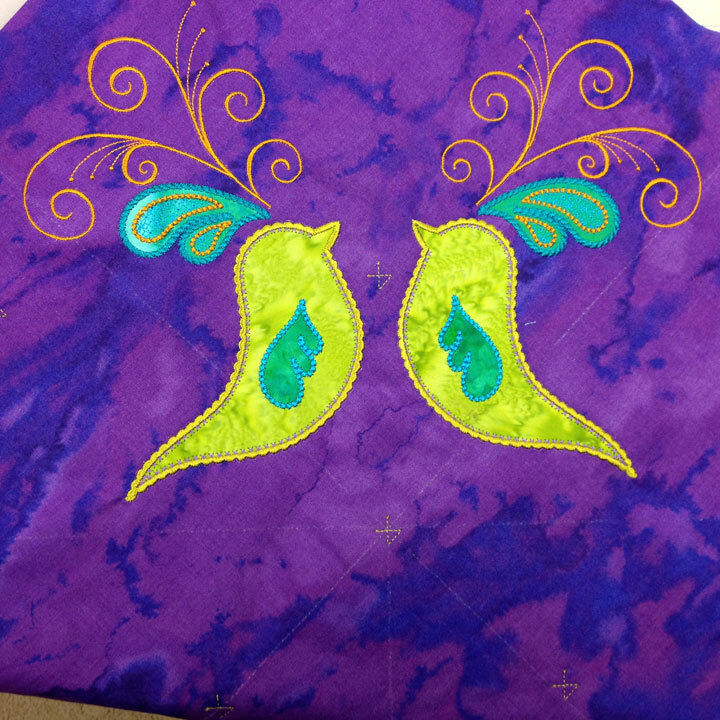 Using die cut shapes for MEA works great, because the shapes are always exactly the same and they fit perfectly into the placement outlines that are stitched by the embroidery machine. I’m kind of ashamed to say that working in this way has spoiled me. 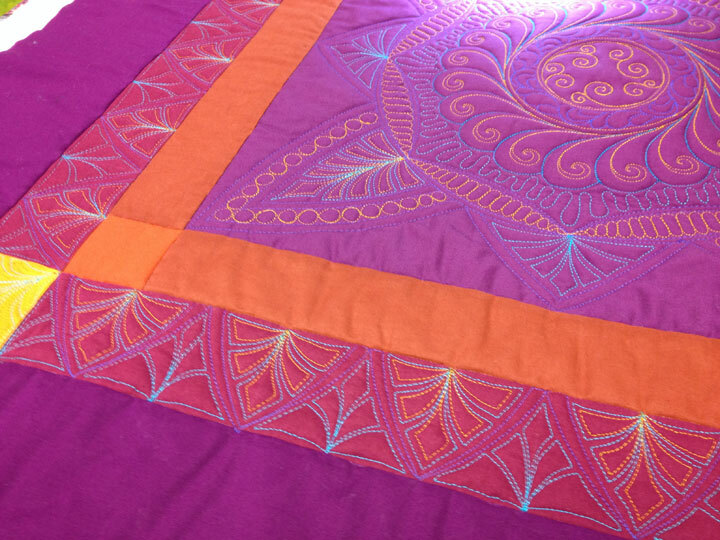 -Because it’s done on the embroidery machine, it can be a much heavier line of stitching than the single line of stitching I can create with free motion quilting. There’s a price to be paid for this, though. 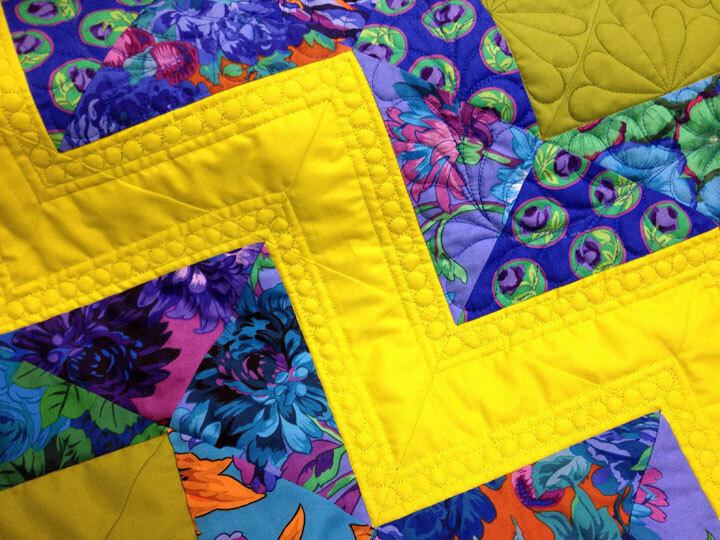 For someone who loves to quilt, I am severely limiting the amount of “free space” available for quilting. 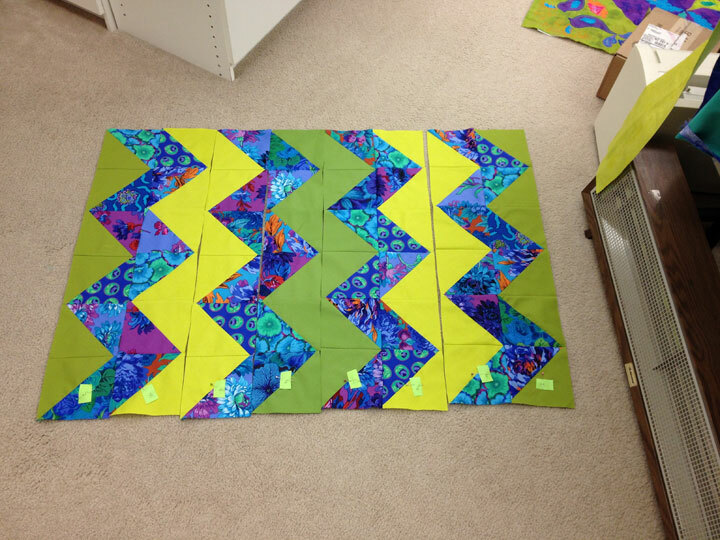 That means the final quilting will not be nearly as much fun for me. 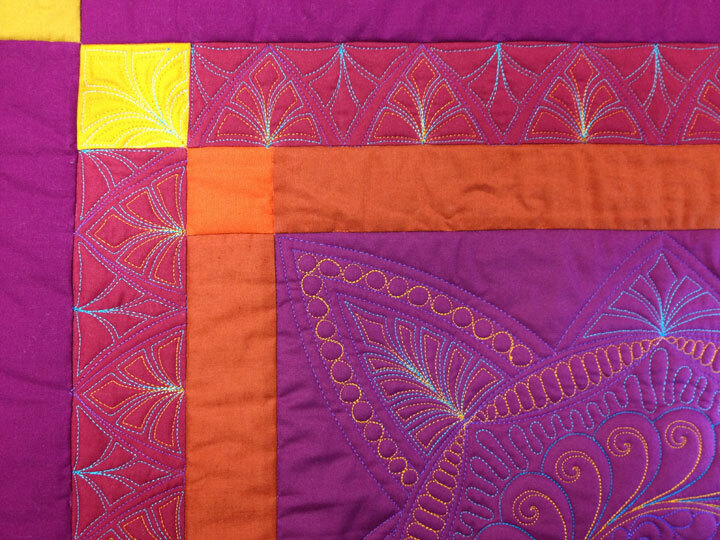 Not sure when I’ll get the chance to finish quilting this baby quilt, but I’m very glad that I’ve made a dent in it! 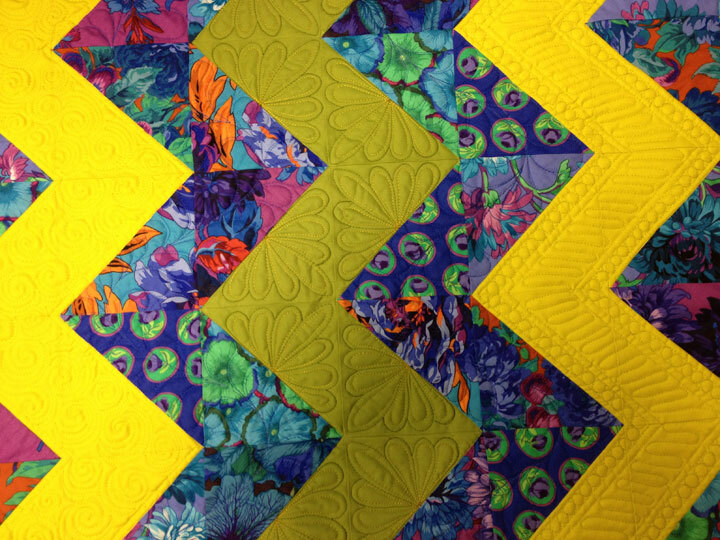 A couple of years ago, QuiltShopGal asked me to participate in her monthly Free Motion Quilting Challenge and I chose the topic of border designs. 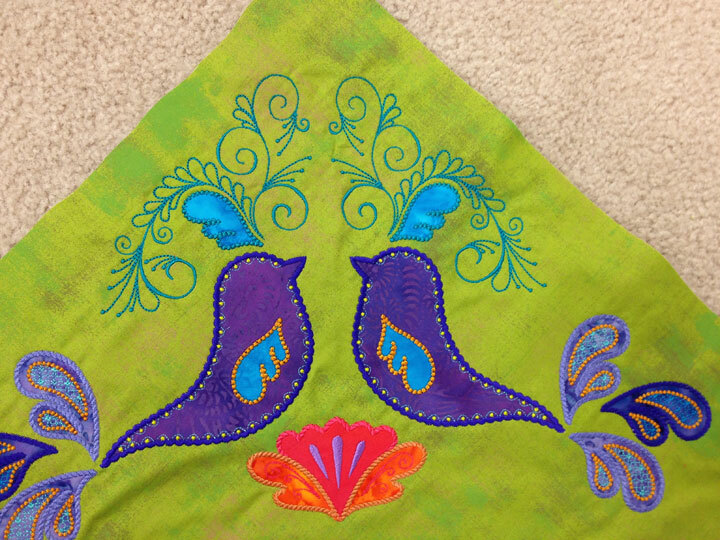 Until that year, the only interesting border designs I stitched were variations of feather designs. 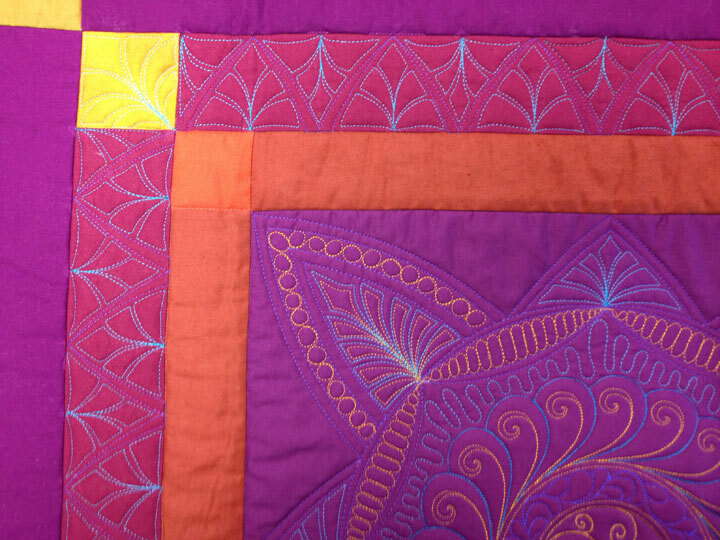 If I didn’t stitch a feather border, then my border designs were pretty lack-luster. Not so anymore! 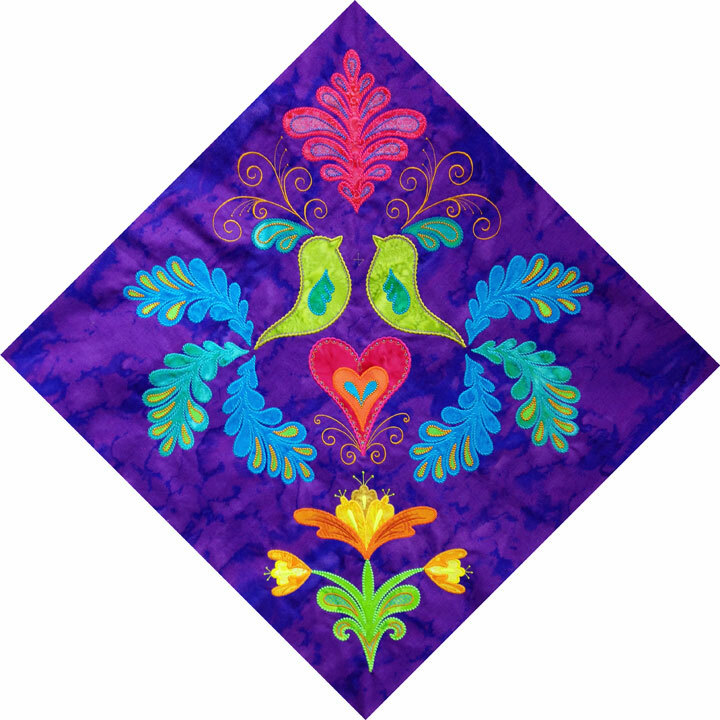 Border designs thrill me and I love the challenge of coming up with new border design ideas. The design above is a good example of the kind of design that evolves merely through playing around and improvising along the way. 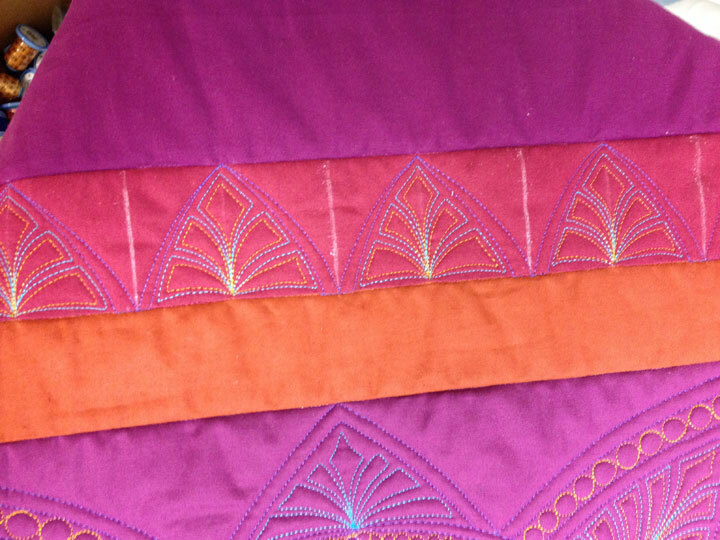 Sometimes, I will draw out a border design on scratch paper and sometimes I will stitch out a small sample on a throw away practice sandwich. 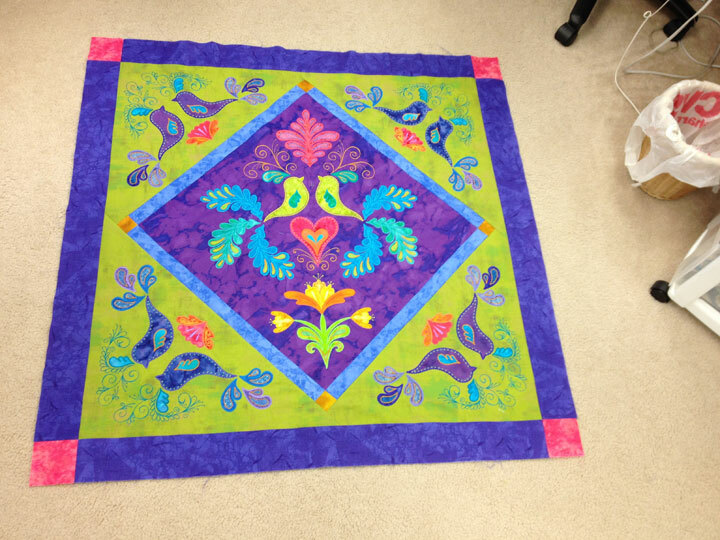 The design above is an example of just “winging it” on a real quilt and I love how it came out! 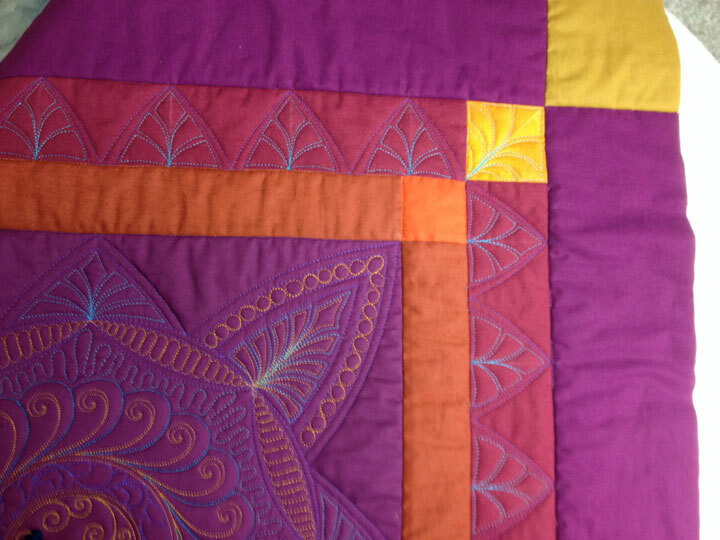 If you want to try something like this, here are the steps I went through to make the above border. 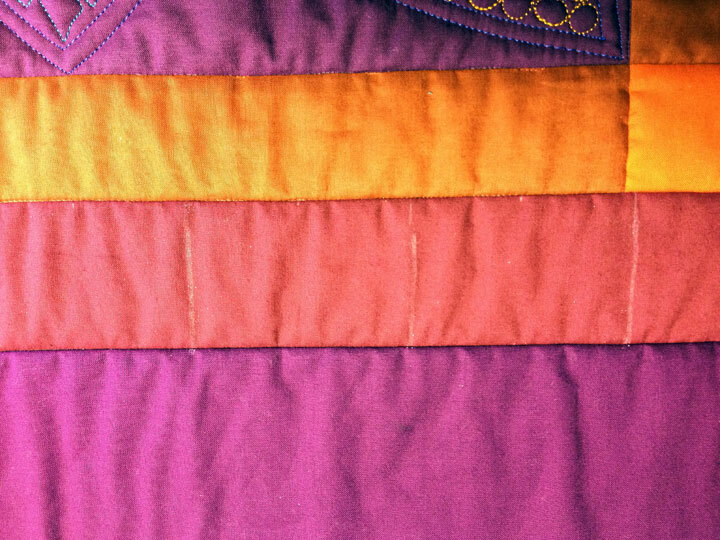 Stitching these “Aztec feathers” is actually pretty simple. I began with a long soap line down the center of the arch, and this served as my “spine guideline.” If you approach it as if you’re stitching a regular feather but simply cut-off the rounded plume tips, you’re good to go. The goal is to completely fill the space w/the feather, so stretch out where you need to and contract where you need to, just as you would with a more traditional feather. 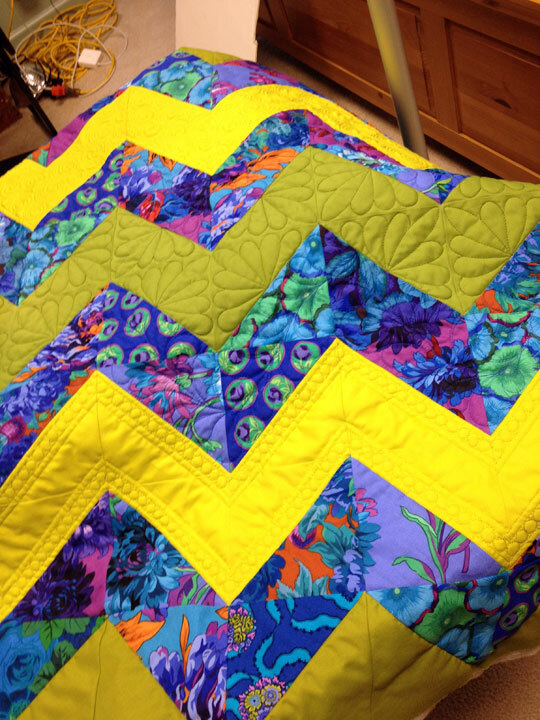 Could you hyperquilt both sides of the arches? Of course! 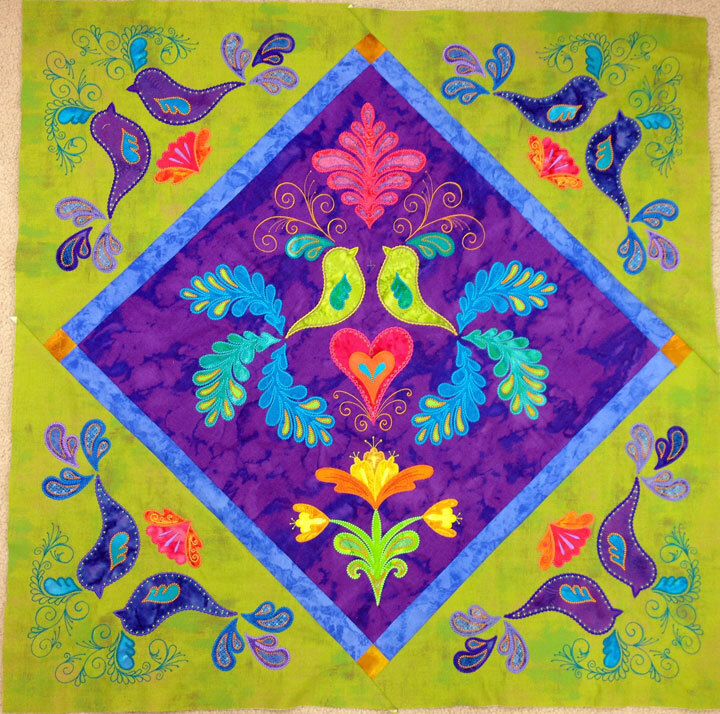 In this case, I was hoping to accentuate that the arches and feathers on either side were actually a bit different from one another, so I left the hyperquilting off. I don’t think there’s a right/wrong way to do this. I know I’ve said it before but it bears repeating. 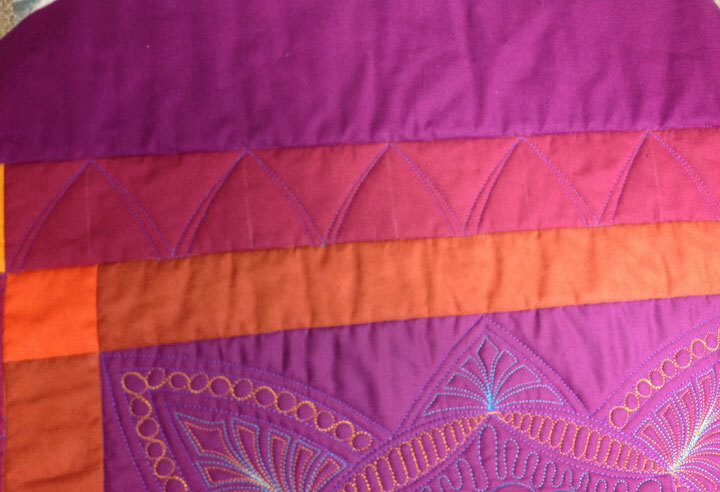 If you’re interested in learning about using ruler work as a sit-down quilter on your home sewing machine, you really need to start reading Amy Johnson’s blog which you can find by clicking here. 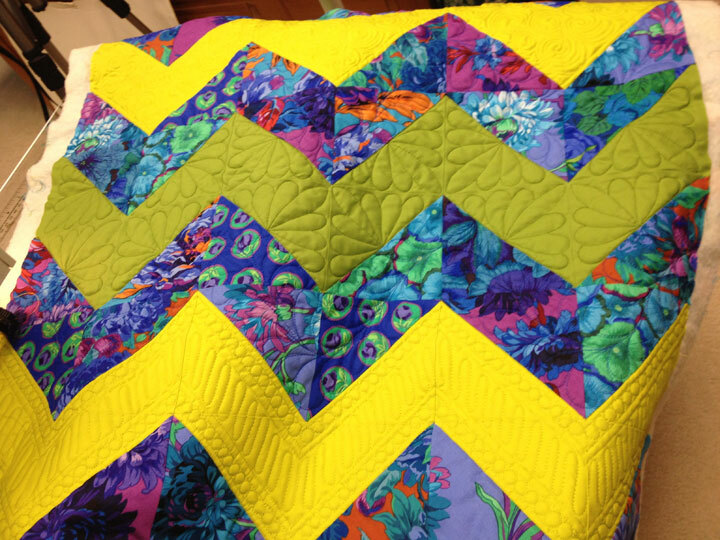 It is a wonderful free motion quilting blog and it’s “the place to go” if your goal is to learn about ruler work on your home machine or on any sit-down machine. She explains things in a very easy-to-understand kind of way and she always has good illustrations, so head on over there now! In the mean time, I promise at least 3 blog posts in the next week. I haven’t been neglecting this blog on purpose, my life has just become too hectic lately. If you took the time to read this post, though, check back as I really do promise some more posts this week!